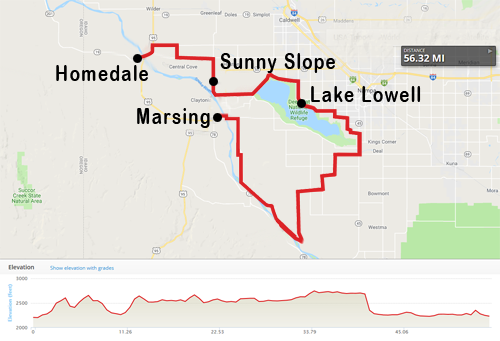 For those that prefer not to ride the 56-mile route this day, we will have an alternate route to our camp in Marsing that is approximately 15 miles from Homedale. Your luggage and gear will not be available for set-up until after 12:00 PM but we may have some optional activities available which will be posted in a future email. The City of Marsing, Idaho, is situated in the scenic Snake River Valley, surrounded by beautiful views and expansive outdoor recreation areas. Marsing was established in 1920. A few decades after ferries were constructed in order to cross the Snake River. Irrigation and railroad operations were implemented in the area and the land surrounding Marsing developed into a booming agricultural industry. One of the biggest features of Marsing’s agricultural landscape is vineyards. 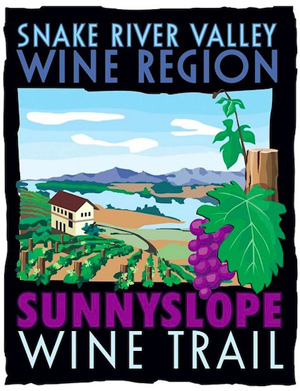 Marsing is one of the main attractions on The Sunny Slope Wine Trail. The trail features fifteen wineries and vineyards and is a great showcase of Idaho’s thriving winemaking industry. 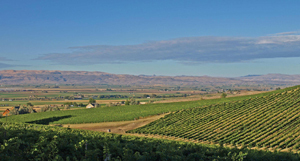 The first grapes were planted in the Snake River Valley in the 1970s. In 2008, Boise State University conducted an economic study that finds that the Idaho wine industry had a $73 million economic impact. By 2013, that amount increased to $169.3 million, and by 2017, 52 wineries have been in operation and 1,300 acres of grapes have been planted. We will continue our journey along the Snake River at our overnight camping location at the Marsing Island Park. The Whitehouse Motel in Marsing is not recommended as it is an older trailer split up into rooms. This is the closest motel from camp, 15 miles away. We are still working on van transportation but Uber is available. This motel was also the recommended motel for day 4, if you book for the two nights you wouldn’t have to move out.